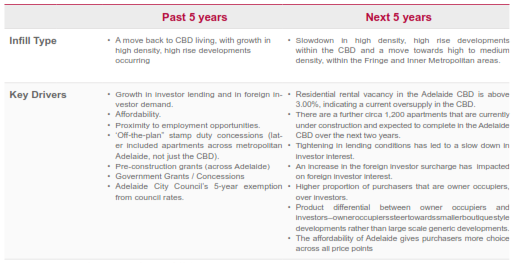 Adelaide Residential Development m3property Insight - Bucking the national trend! Adelaide bucking the national trend! Adelaide benefits from a consistent market with stable growth continuing despite price corrections occurring in other parts of Australia. While Adelaide hasn’t witnessed the strong gains in recent years in value levels, it is unlikely to experience strong falls either. 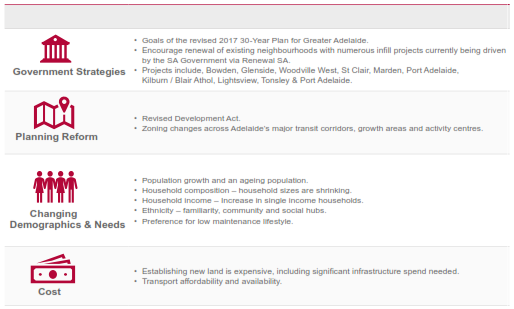 Over the past 10 years, development activity in Greater Adelaide has been focused on infill development, rather than greenfield development. 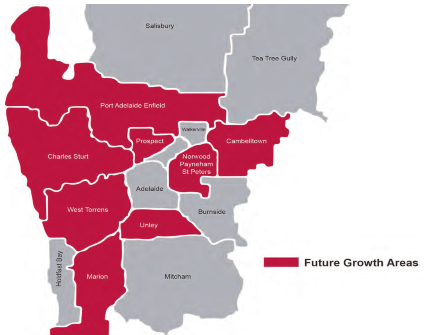 According to the 30-Year Plan for Greater Adelaide (2017 Update), 76% of Adelaide’s growth is now occurring in established suburbs. The 30-Year Plan also reported that there is now more than 20 years of suitably zoned broadhectare land available for development within the metropolitan fringe and nearby townships.